Has the Thanksgiving Art and Craft Show been your family’s go-to place for holiday gifts? Or has visiting Meadowlark’s Winter Walk of Lights been the most recently added family tradition? 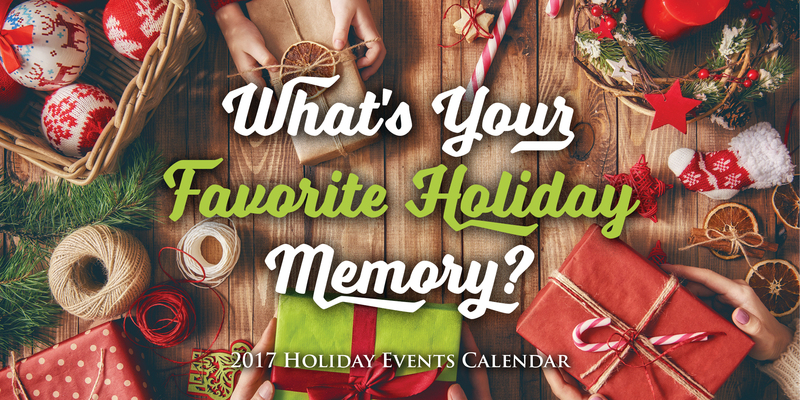 Find out when your your favorite holiday event is to take place this year or try something different and make 2017 a year for making new memories. Starting on November 11th, Tysons Corner Center and HGTV’s Santa HQ are open for the season: Guests are invited to make a reservation to explore the immersive, engaging Santa HQ, the digitally enhanced visit with Santa presented by HGTV. Reservations to visit the experience can be made in advance starting mid-October at www.santa-hq.com. More than 300 juried artisans from across the country offer fine art, functional & decorative pottery, handcrafted jewelry, glass, photography, woven baskets, furniture, decorative arts, collectible dolls, wearable art, and much more. Specialty food vendors offer gift-packaged gourmet fare such as steamed puddings, almond pound cakes, party dips, sparkling cider, and fruit cakes. Events Management Group, Inc. works with the Capital Area Food Bank helping needy families during the holiday season by collecting donations of canned goods. Receive $1.00 off admission by bringing a canned food donation for the Capital Area Food Bank. Call (757) 417-7771 for details. Come browse and find unique presents and stocking stuffers; cards and gift bags; seasonal decor; kitchen accessories; baby and children’s items; scarves, hats, and other attire; jewelry; pillows and linens, ceramics; fresh baked pies and cakes; and much more. This three-day event features a wide variety of handmade items and craft supplies for purchase, plus a soup and sandwich lunch and bake sale. The church is located where Courthouse Rd. intersects Rt. 123 near Oakton. For more information, see www.oaktonbrethren.org, or call 703-281-4411. The event is a fundraiser for church projects. Visit Meadowlark’s Winter Walk of Lights from November 17 –January 7th to experience over 500,000 LED lights and displays that bring Meadowlark Botanical Gardens to life! Imagine the beauty of Meadowlark’s renowned gardens transformed into a winter wonderland, including a flowing stream of softly glowing lights. Marvel at the two-story animated fountain, stroll past the Gingerbread Village, and explore the beauty of nature like you’ve never seen it. This event is sure to be the highlight of your holiday season! Make s’mores over the firepit and other snacks for sale. Call (703) 255-3631 for details. Join Tysons Corner Center on Friday, November 17th at 6:15 for the annual Tree Lighting Ceremony to be followed by a free holiday concert by American Idol David Cook, located on The Plaza at Tysons Corner Center. Enjoy handmade crafts and holiday gift items including baskets, dolls, floral items, jewelry, paintings, photographs, pottery, clay, wood items and more from artisans from all over the United States, including many local artists. The James Madison High School Band will be hosting the 14th Annual Vienna Turkey Trot 5K/10K and Fun Run. All proceeds benefit the JMHS “Pride of Vienna” Band and the Vienna Volunteer Fire Department. Join us for a great run, super music, fun prizes, refreshments after the race, and the Finish Line Festival! Visit www.viennaturkeytrot.org for more information. For more than 12 years, the Bull Run Festival of Lights at Bull Run Regional Park has drawn thousands of visitors from hundreds of miles away to Centreville, Virginia, just outside Washington, DC. This year’s festival opens November 22 and runs through January 7, 2017! The Bull Run Festival of Lights is held each year to celebrate the winter holiday season. The event sees more than 30,000 cars each season, and over 130,000 people! Bull Run Festival of Lights is located just off of Interstate 66 in Centreville, on Rt. 29 (Lee Highway), just 3 miles from historic Manassas Battlefield Park. Visit www.novaparks.com/events/bull-run-festival-of-lights for more information. All Runners Registered by November 1st, will be guaranteed an Arlington Turkey Trot cotton tee. Reston Town Center launches the festive season at the 27th annual Reston Holiday Parade at 11:00 a.m. with Macy’s-style balloons, musicians, dancers, antique cars, characters, community groups, dignitaries, special guest emcees, and much more. Voted as #4 in the nation’s top 10 holiday parades by USA Today readers, the one-of-a-kind, one-hour, half-mile parade along Market Street also welcomes the arrival of Santa and Mrs. Claus in a horse-drawn carriage. Since 1991, rain or shine, the parade has been an annual tradition on the day after Thanksgiving. Before the parade begins, thousands of jingle bells are handed out to spectators along the route. After the parade, enjoy visits and photos with Santa and Mrs. Claus, plus Mini-Train rides until 4:30 pm and street entertainment. The Clauses will return for the Fountain Square Tree Lighting and Sing Along at 6 pm. Afterwards, on Market Street, horse-drawn carriage rides continue from 6:30 until 10 pm. Proceeds for the photos and rides benefit local charities. The acclaimed Ice Skating Pavilion is open all day and every day from November until March. Come join the estate for the brand new, candlelit, character-guided tour and learn more about holiday traditions in 18th-century Virginia. Guests will see the Washingtons as they prepare for a festive celebration with friends and family, a favorite holiday activity at Mount Vernon. In the Mansion, Washy Custis has just arrived home from school, and Martha Washington is admiring an impressive array of desserts in the New Room, including a reproduction of her Great Cake. Some of the hired and enslaved servants are busy inspecting bills in the study, discussing the family’s culinary preferences in the kitchen, and moving furniture in the New Room and hanging greens over doorways. Guests will also stop at the Slave Quarters, the Blacksmith Shop, and the Greenhouse where they will be able to participate in 18th-century dancing. Aladdin the Christmas camel will also be on site. This terrific show features some 80 juried artisans offering original, handmade arts and crafts, including decorative painting; fused, etched, painted and stained glass; ceramics and pottery; hand-painted silk; woodworking; handweaving; photography; paintings and drawings; clothing and functional textiles; jewelry; and much more. All of the artists and artisans will be on hand to answer questions and talk about their work. “The world’s reigning male chorus” (The New Yorker) kicks off the holiday season at the Center for the Arts with a beautiful concert of acappella music that includes gorgeous seasonal classical pieces as well as holiday favorites. Chanticleer is renowned for the seamless blend of 12 male voices, ranging from countertenor to bass, with superior technique, sublime tone, and unparalleled musicality. Their original interpretations span period and genre—from Gregorian chant to jazz, popular, and contemporary music. The group, which has been praised by the San Francisco Chronicle for its, “tonal luxuriance and crisply etched clarity,” has a long list of impressive achievements: sales of more than a million albums, two Grammy® Awards, being named Ensemble of the Year by Musical America in 2008, and induction in the American Classical Music Hall of Fame. Begin the Christmas season with this beautiful holiday concert. Santa will arrive and greet children at the historic Freeman Store and Museum and then help the mayor light the holiday tree at 6:20 pm. All merchants along Church Street will remain open for holiday shoppers. Enjoy fun, family—friendly activities including a petting zoo, free hot chocolate, and roasting marshmallows at supervised bonfires. Holiday entertainment will be provided throughout the evening. Make time to enjoy old-fashioned family fun at the “Merry Old Town” celebration in Historic Downtown Manassas! The holiday fun begins on Friday at 5:00pm with holiday cheer as everyone awaits Santa’s arrival at the Manassas Depot via VRE train. The Annual Christmas Tree Lighting will be at 6:30pm on the Manassas Museum Lawn. On Saturday at 10:00 am, celebrate the holidays as we honor the 72-year long tradition of the Greater Manassas Christmas Parade! Historic Downtown Merchant Open House is held on Sunday from noon until 5:00 pm! Falls Church Community Center, 223 Little Falls St.
$1 All-Weekend Shopping Pass. Children under 12 receive free admission. Deck the halls during the holiday season with special gifts from the annual Holiday Gift and Craft Show. More than 50 crafters and merchants show their wares, selling unique handmade items, baked goods, and more. Various holiday-themed children’s activities are offered, attracting many young shoppers and their parents. Tired of the same old. . . same old holiday shopping? Then get on over to the Fredericksburg Holiday Craft Show at the Fredericksburg Expo Center. 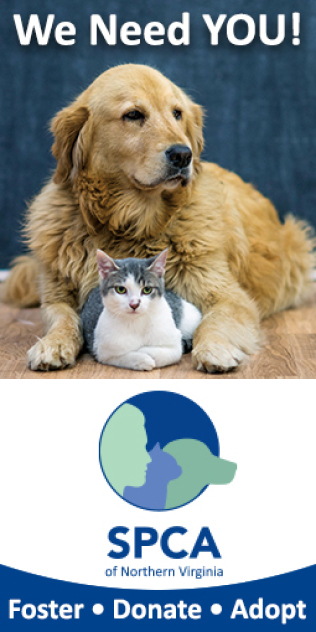 The annual Holiday Craft Show is your one-stop Shopping destination where you can find memorable and unique gifts for your family, friends and of course for your pet too. Come join the fun festive mood at one of the area’s best Holiday Craft Shows at the Fredericksburg Expo Center that will host almost 300 vendors. There will be lots of handcrafted items including holiday ornaments and wreaths, jewelry, soaps and lotions, gourmet foods, glassware, artwork, organic dog treats, clothing, candles and much much more. Not only that, but on Saturday, you can walk out with your items gift wrapped For FREE. The Fredericksburg Expo Center is off I-95, exit 130b. Attend the 1st Annual City of Fairfax Holiday Market in Old Town Square. Come and shop at the market of craft vendors as you enjoy Old Town Square, in the heart of Historic Downtown Fairfax, covered in holiday lights. The festival will include live holiday music, hot drinks, gourmet treats, and more! The Holiday Market will be open the first 3 weekends of December on Friday, Saturday and Sunday. Craft vendors will vary each weekend. Get into the holiday spirit with the Towne Square Singers as they usher in the season with holiday music, both old and new! The Herndon Towne Square Singers, sponsored by the Town of Herndon Parks and Recreation Department, numbers 25 strong for the upcoming concert. 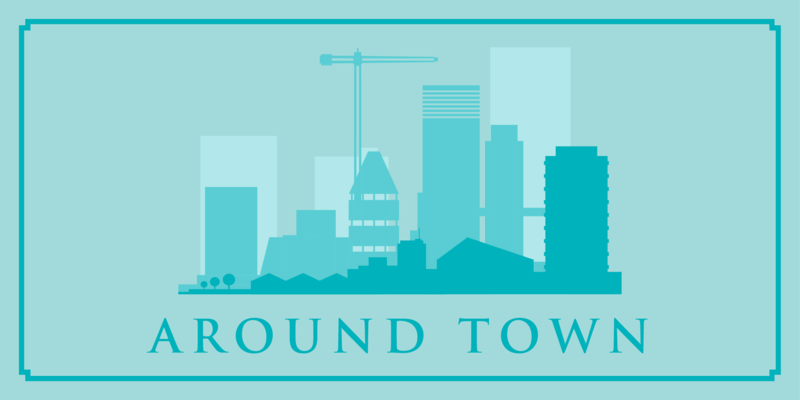 Many members hail from the Town of Herndon and others come from surrounding communities in Fairfax and Loudoun counties. Call 571-323-5304. Come listen to live holiday music and caroling and enjoy s’mores and hot cider at Old Town Square. The tree lighting ceremony begins at 5:30pm. The Washington Symphonic Brass is comprised of the finest professional musicians in the greater Washington area who have played with some of the nation’s finest orchestras, including the National Symphony Orchestra, the Baltimore Symphony, and The Philadelphia Orchestra. As a group, the WSB promises a resounding celebration of the holiday season. Come enjoy breakfast with Santa at Tysons Corner Center on Sunday. Stay for the holiday performance by Those Funny Little People as well as holiday festivities and crafts. Celebrate the beginning of the season with our 27th annual Christmas Tree Lighting. Drink hot cider or cocoa next to the fire as you listen to our local children’s choral groups sing seasonal music. The petting zoo and pony rides will keep your kids busy until Mr. and Mrs. Claus arrive by antique fire truck. Event held rain or shine. Visit www.celebrategreatfalls.org/celebration-of-lights for more information. Over 70 artisans and craftspeople will exhibit and sell their work at this annual arts and crafts show, sponsored by the Town of Herndon Department of Parks and Recreation. A variety of handcrafted items and fine art will be on sale including wreaths, quilts, jewelry, Christmas ornaments, decorations, original artwork, photography, stained glass, and more. Free admission and parking. Additional parking at the Herndon Centennial Golf Course. Two of Canada’s brightest stars, Natalie MacMaster and Donnell Leahy, marry their exceptional talents in this festive evening of lightning-fast fiddling and lively step-dancing. This husband-and-wife duo captivates the audience with their unmistakable chemistry as they perform foot-tapping rave-ups, heartfelt ballads, and remarkable step dancing. In their newest program, A Celtic Family Christmas, they are joined onstage by talented musicians and their whole family to recreate all of the warmth and joys of a typical Christmas in their home on Cape Breton Island. “Dual fiddle wizardry…amazing synergy,” raves the Intelligencer Journal. Celebrate the holidays as they share their traditions in song, dance, and stories by the fire. Celebrate the Christmas season with Northern Virginia’s very own pops orchestra in its annual family concert of cheerful carols and cherished holiday tunes. This jovial evening includes a program of sentimental favorites including Leroy Anderson’s festive “Sleigh Ride,” and culminates in a rousing sing-a-long in which the audience gets a chance to share in the experience. Under the baton of founder and artistic director Anthony Maiello, these talented musicians from the greater D.C. area perform favorites that are guaranteed to fill you and your family with holiday warmth and merriment. Children ages 10 and under can enjoy lunch with Santa at Sherwood Center. Two lunch seating’s will be offered: 11:30am and 12:30pm. Tickets ($6 per child) will go on sale November 1 at the Parks & Recreation office at City Hall, Sherwood Center, and Green Acres Center. Limit of 10 tickets per person. Pre-Registration is required for this event—children 1 years of age and younger may attend at no cost but still must be registered. Parents do not need to purchase tickets. All are welcome – both Fairfax City residents and non Fairfax City residents. Kick off your holiday season with sparking fireworks overlooking the Potomac River! Join Mount Vernon for an evening of family-friendly fun and fireworks choreographed to holiday music, with fireworks beginning around 9pm. Take a stroll through the estate while being serenaded by local choirs, visit with re-enactors from the First Virginia Regiment in winter encampment, and learn 18th-century dance moves from costumed guides in the Greenhouse. George and Martha Washington will also be on site to greet Mount Vernon’s holiday guests. Watch as colonial artisans demonstrate the 18th-century process of creating chocolate. Keep toasty by warming up by a bonfire, visiting the blacksmith shop, or enjoying some hot chocolate or cider. Additional tasty food will be available for purchase. Still haven’t found the perfect holiday gift? Take some time to complete any last minute gift needs at the Shops at Mount Vernon, open late during Christmas Illuminations. Bring the kids for a Full Breakfast Buffet of Scrambled Eggs, Bacon, Chocolate Chip Silver Dollar Pancakes, Fruit Salad, Cinnamon French Toast with Caramelized Bananas, Croissants, Muffins. Fun activities to include Face Painting, Arts and Crafts, Reindeer Food, Cookie Decorating and Pictures with Santa and Ms. Claus! Special Appearances by The Tin Soldier and The Sugar Plum Fairy. Watch The Sugar Plum Fairy create Balloon Animals for the little ones! Featuring Maggiano’s famous Hot Chocolate Bar! Pour yourself a cup of steamy Hot Chocolate and indulge in all the delectable toppings they have to offer, big marshmallows, little marshmallows, chocolate chips, white chocolate chips, chocolate and sprinkle covered spoons, Chocolate dipped marshmallows! Visit www.eventbrite.com/e/breakfast-with-santa-tickets-36203242874 for tickets. Experience this timeless holiday classic with the FSO and the Fairfax Ballet – a holiday tradition your family will always cherish. Enjoy a winter wonderland of dancing snowflakes, sugar plum fairies, and epic battles between heroic toy soldiers and mischievous mice. It’s the perfect holiday treat for the entire family! The City of Fairfax Band’s annual tradition of this gift to the community continues. The Fairfax Choral Society Adult Chorus joins the band on stage, and John Lyon entertains with his singular wit and a reading of ‘Twas the Night Before Christmas. Santa is on hand to get those last-minute Christmas lists. This program is free to the public, but tickets are required. Don’t miss out on what has become THE Christmas program in Fairfax! One of the finest choral ensembles in the world makes its traditional visit to the Center for its glorious vocal celebration of Christmas. Always a highlight of the Center’s holiday season, this concert features cherished carols, pop favorites, and sacred hymns sung with the purity and excellence of these talented young boys—all between the ages of 10 and 14. This internationally renowned choir “has stood the test of time since its founding in 1498 and continues to share its bright, light voices through the centuries” (The New York Times) with the world. Don’t miss this heartwarming concert, perfect for the holiday season! Celebrate this Christmas with the experience taking North America by storm! Marking the 25th Anniversary Tour, Moscow Ballet’s Great Russian Nutcracker features this over-the-top production and world class Russian artists. Larger than life Puppets, Nesting Dolls, and gloriously hand-crafted costumes bring the Christmas spirit to life. Gather the family and see why the press is raving “Knock Out!” – New York Times “Christmas Cheer!” – LA Times. Get the best seats today and memories for a lifetime at Moscow Ballet’s Great Russian Nutcracker! Groups get the best seats at the best prices! Call Bobbie at 1-800-320-1733 to reserve your seats today.